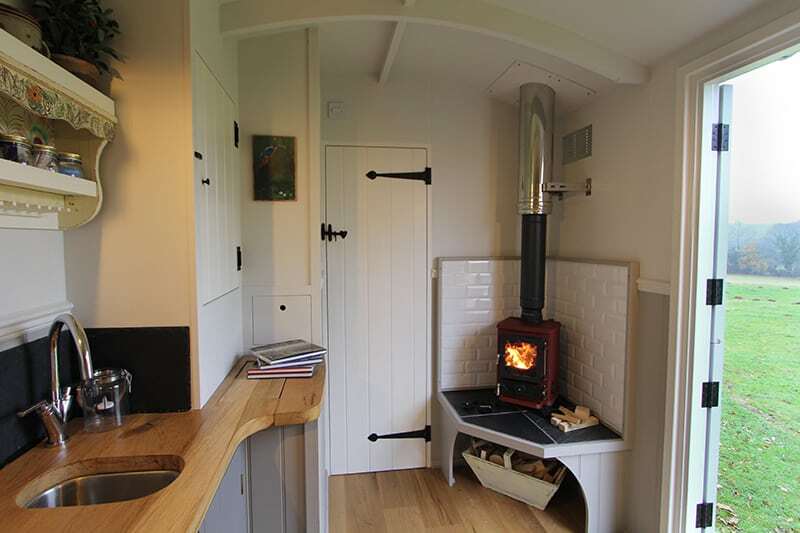 Top Farm is a family run camping and glamping site set in the picturesque countryside of rural north Norfolk, in a village called Marsham. 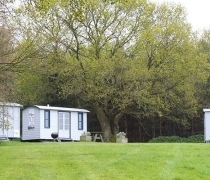 The site offer splendid views of beautiful wood and heath land, providing a tranquil and secluded outdoor wedding venue for your special day. 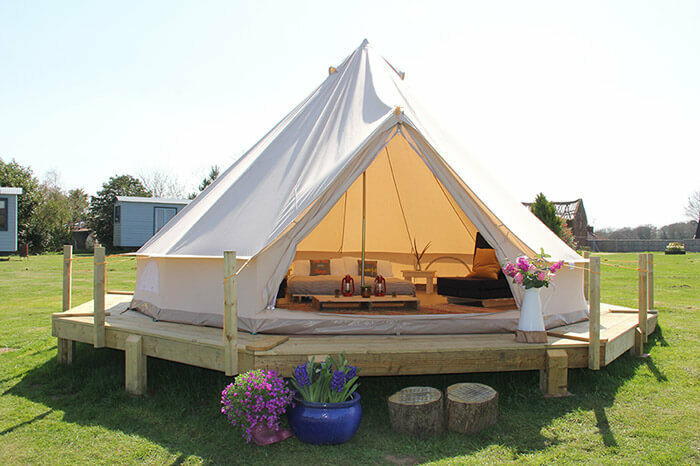 Our site offers you the perfect setting for your outdoor wedding, while providing indoor rustic styled spaces to get creative with. 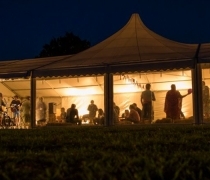 We have covered areas suitable to be used for a bar, band or DJ stage and the wedding breakfast, we also have indoor space for the reception as well as plenty of room for a marquee. 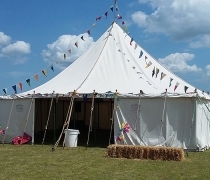 We strive to be an excellent wedding venue that is ideal for you to host your unique wedding for up to 150 guests, whether that’s a funfair, glamping or festival themed wedding is entirely up to you. 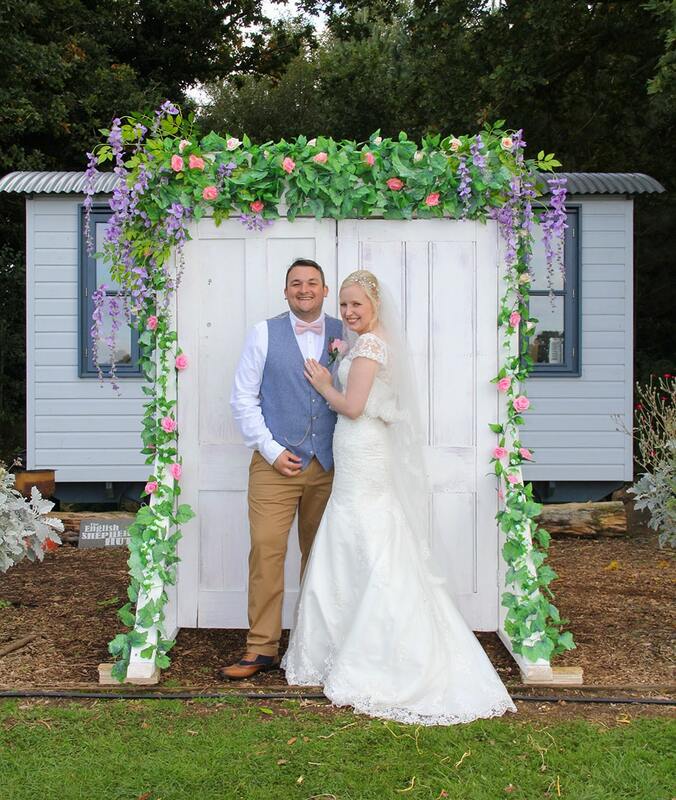 We have a beautiful outdoor wedding ceremony area, in front of our Shepherds Hut Woodland englampment, where you and your guests will look out onto our meadow and the surrounding countryside, offering you the perfect scene for your ceremony and wedding photos. 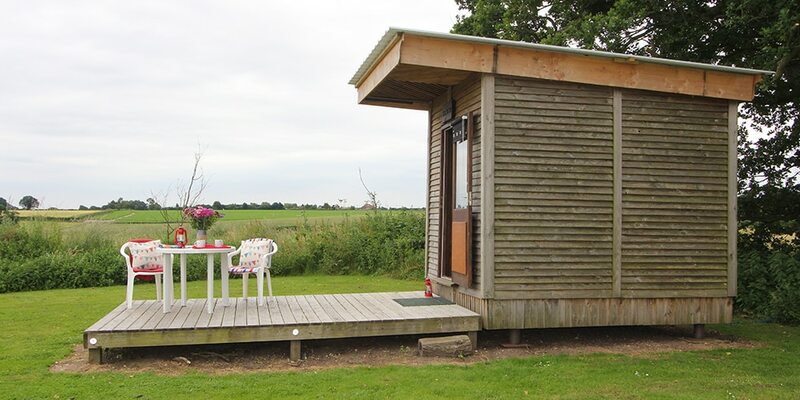 There’s also plenty of accommodation onsite, from Glamping in our Shepherds Huts, Camping Cabins or Bell Tents to pitching up a tent. 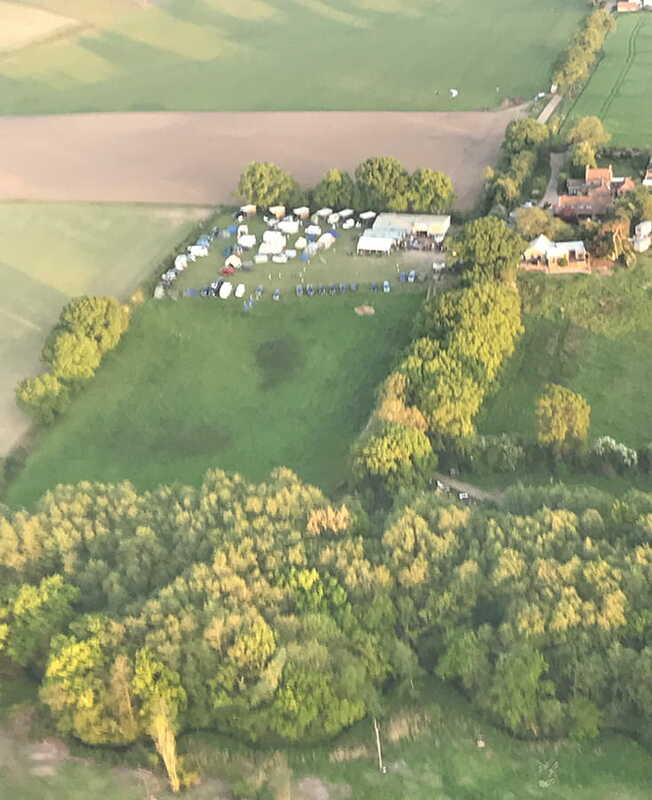 Exclusive use of the 7 acre Festival Wedding Field for two days, from Friday 12:00 to Sunday 12:00.Your guests are free to use the festival field to pitch tents, bring caravans, campervans and trailer tents. 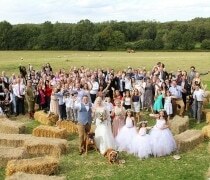 In total we can accommodate up to 150 wedding guests. 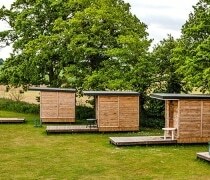 Our six camping cabins for two nights. 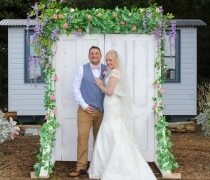 Situated in front of our Shepherds Hut Woodland englampment, looking out onto the beautiful view of our meadow and the surrounding countryside, your guests will be seated on rustic style seats, in the form of hay bales which will form your isle, leading the bride down to your partner to be. 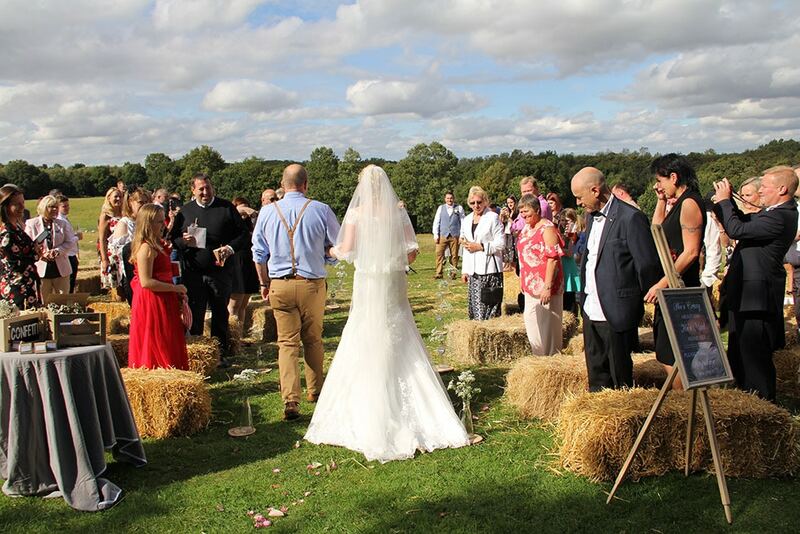 The field offers you an enormous outdoor wedding reception space, providing you with 7 acres to plan whatever wedding festival takes your fancy! 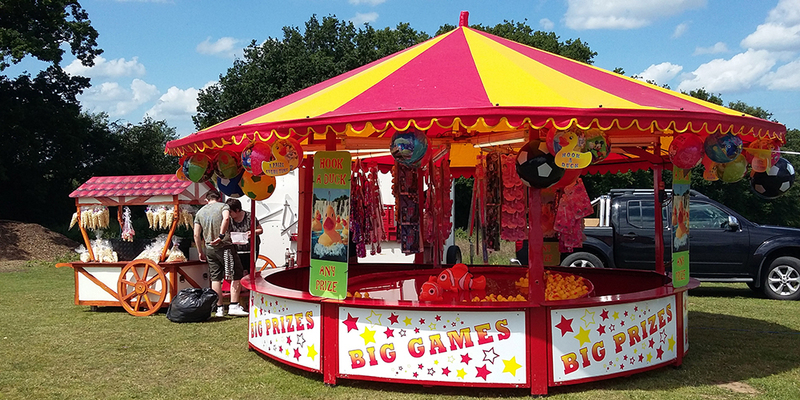 There’s room; to entertain and accommodate up to 150 guests, to pitch a marquee and our bell tents, our outdoor venue is even big enough to hold your own fun fair, helter skelter, bouncy castle, lawn games and more. 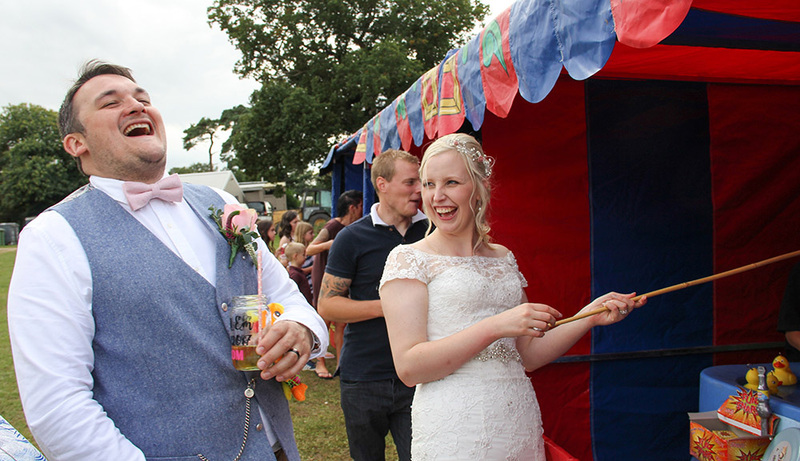 The festival wedding field includes two separate ladies & gents toilet facilities, a washing-up area and for overnight quests the shower block is only a 2 minute walk away. Our recreation room provides 900 square feet of indoor space to be used day or night for your wedding reception. 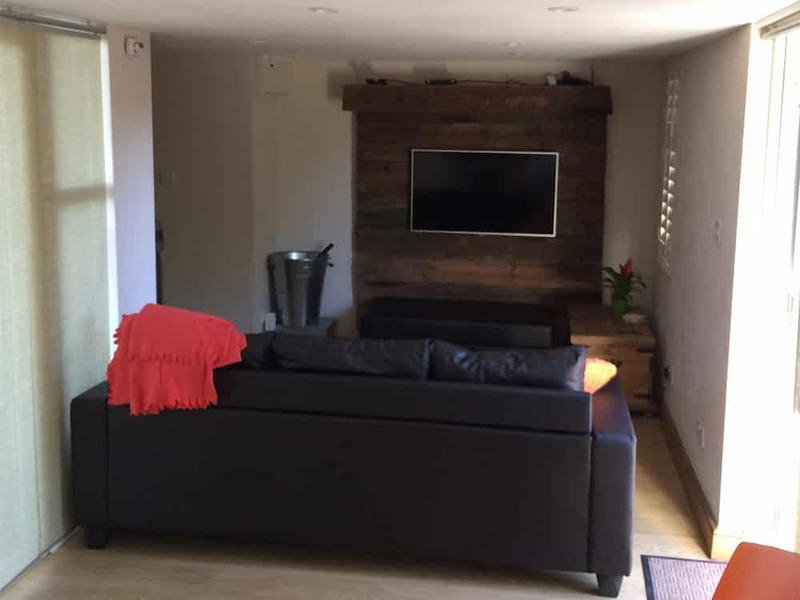 The room is fully equipped with all you need to get the party started; we have a sound system, disco lights, a kitchen and fridge. 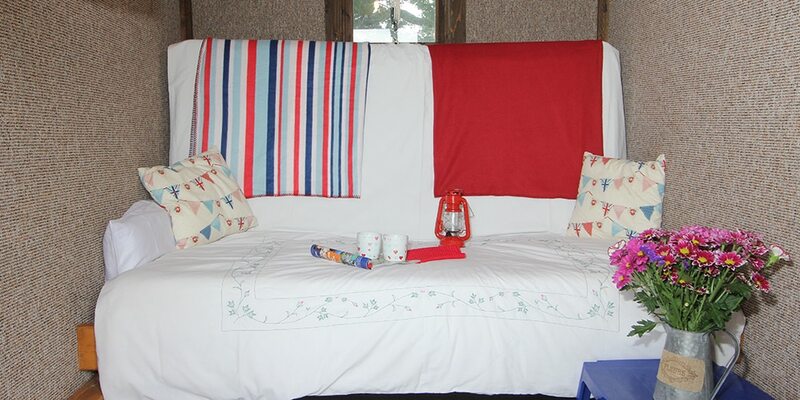 The room is even sound-proofed and insulated, meaning that the festivities can go on into the night without disturbing those wedding guests who’ve gone to bed. 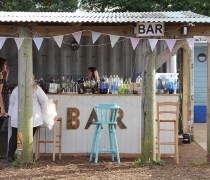 The Tractor Shed is a large covered area, with capacity to seat up-to 100 wedding dinner guests and offers the ideal socialising space in case of rain. 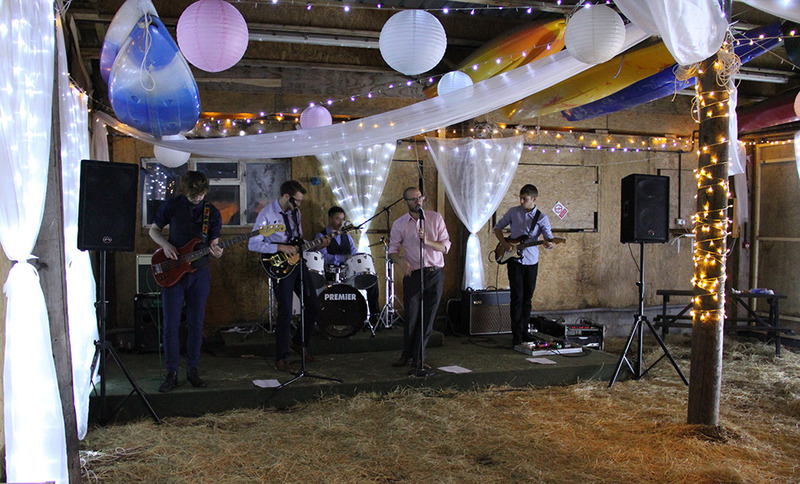 It’s also possible to use the shed to host your live music, be it a band or DJ, as the area is fully equipped with mains electric. 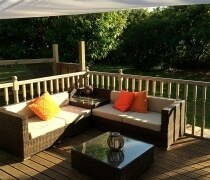 The Sunrise Cafe offers you a perfect covered area for cooking, dining and is in an ideal location for your bar. 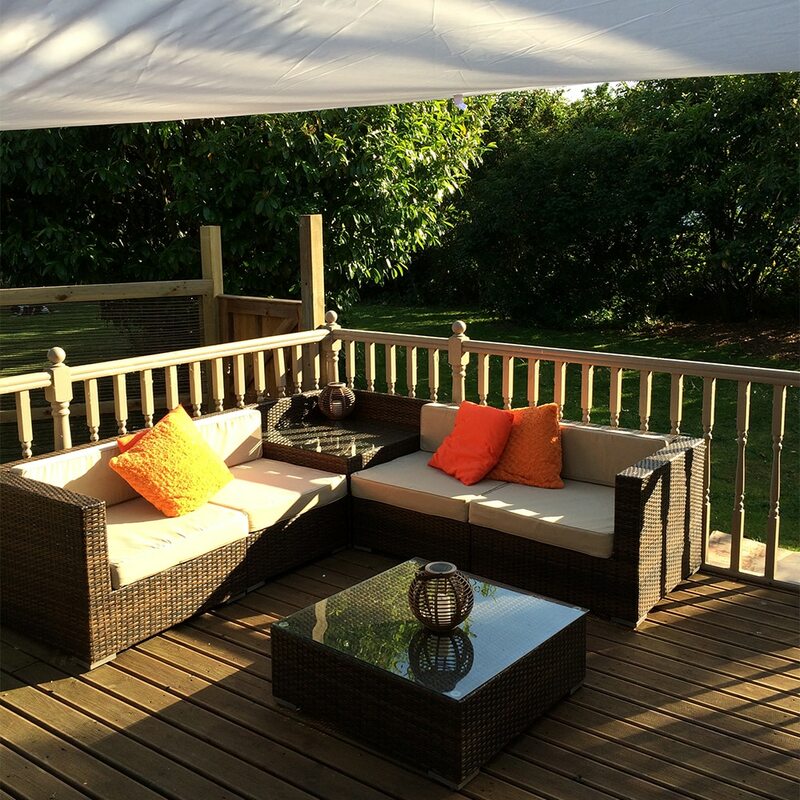 A large built-in barbeque, a fire pit with a cooking grate and a chiminea ensure that it is easy to feed and seat a large wedding party – whatever the weather. 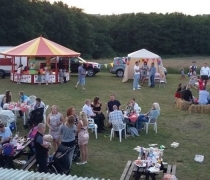 You can of course organise an outside caterer. 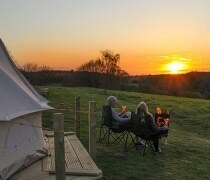 As a bonus, the view from the ‘Sunrise Cafe’ is spectacular and your wedding guests can witness an amazing array of wildlife. 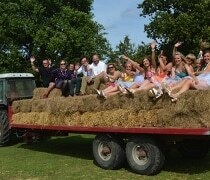 or festival wedding theme ideas, please get in touch. 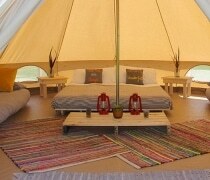 Perfect accommodation for the newly weds, celebrate your special day with a spot of luxury. 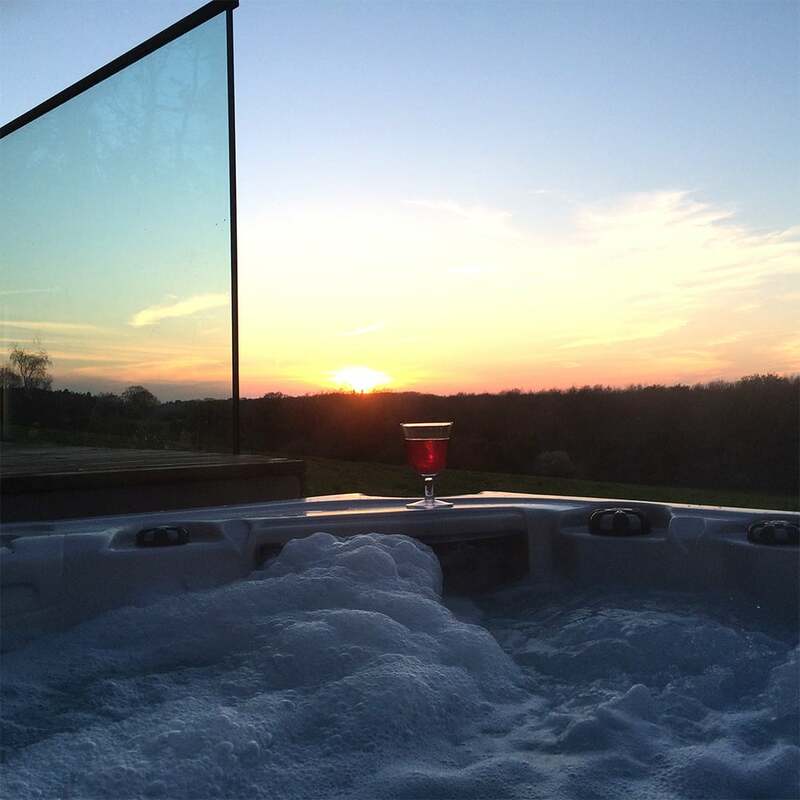 Spend a luxurious night or two in the most comfortable of four poster, king sized beds and unwind after the big day by enjoying uninterrupted views of the valley from your hot tub. 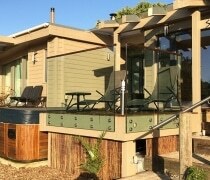 Stiltz Luxury lodge sleeps two and includes its own kitchen and bathroom. Available to hire as an add on. 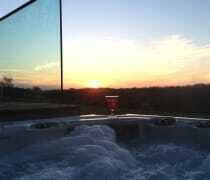 Treat your wedding party to a stay in the lodge, where they can enjoy home from home. 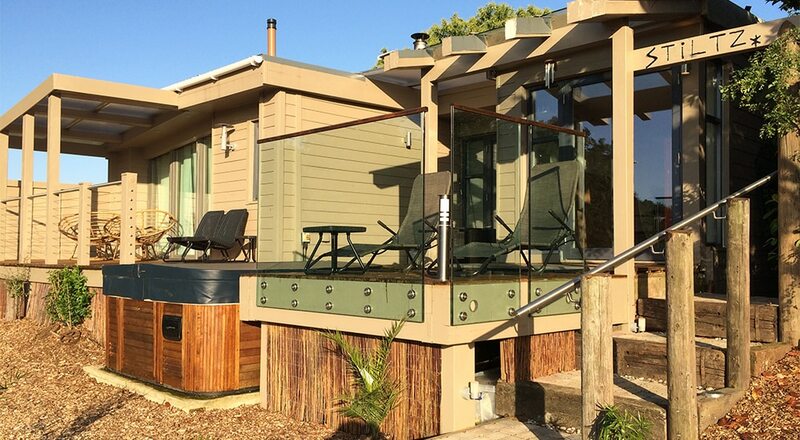 Suitable for four guests, the lodge is completed with it’s own kitchen and bathroom, also not forgetting the beautiful decking areas and a hot tub to boot! 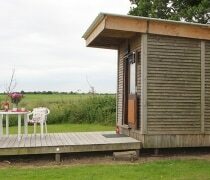 The lodge sleeps four with one king size bed, a single bed and a sofa bed. 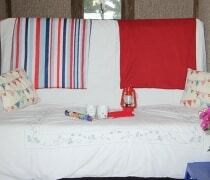 Available to hire as an add on. 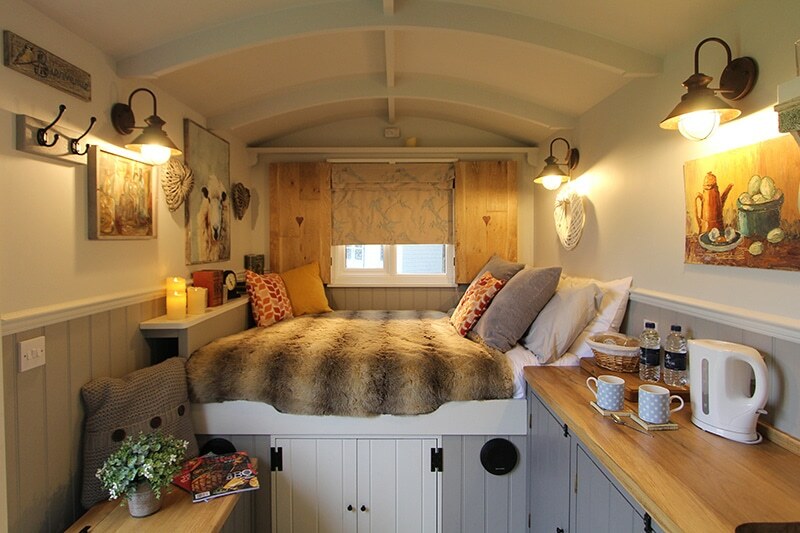 Treat your special quests to a spot of luxurious glamping, with a couple of nights in one of our six beautiful shepherds huts, situated in two picturesque areas of Top Farm, the Woodland englampment and the Sunset Valley englampment. 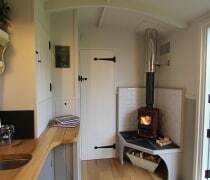 For the happy couple we’d suggest our most luxurious Shepherds Hut, Florence, glamp in style with your own on suite and wood burning stove. 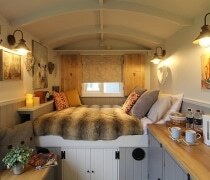 Our Shepherds Huts sleep a total of 13 guests. 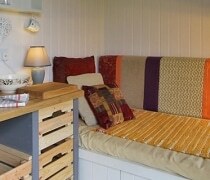 Available to hire as an add on. 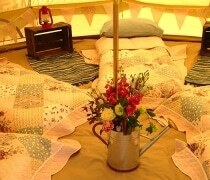 Add a magical and romantic touch to your wedding day with our bell tents. 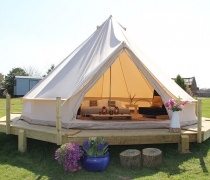 We can set up the tents as a mini glamping village, to be used as a chill out tent, a children’s craft den or of course for you or your guests to sleep in! 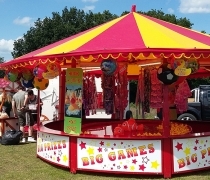 Available to hire as an add on. 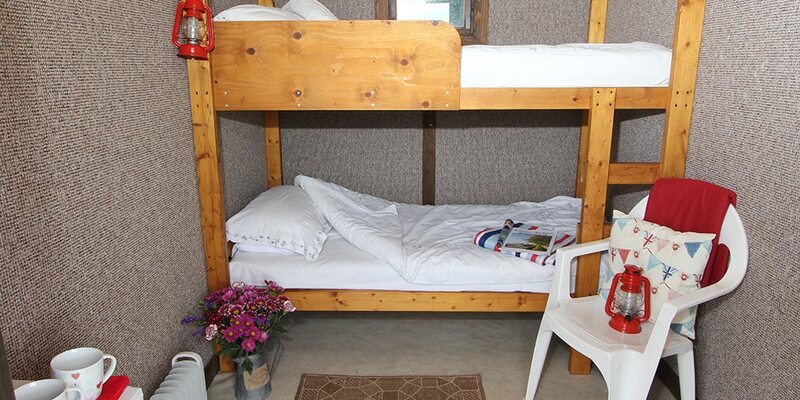 Those guests who favour a bed are in luck, as we have six camping cabins – each containing either a large double bed or a bunk bed. 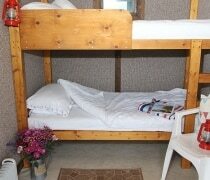 The cabins sleep a total of 16 guests. 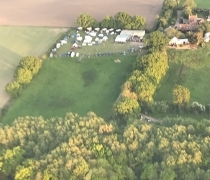 The festival wedding field offers a large flat camping area with 10 electrical hook-ups for your guests, whether in tents, camper vans or caravans. 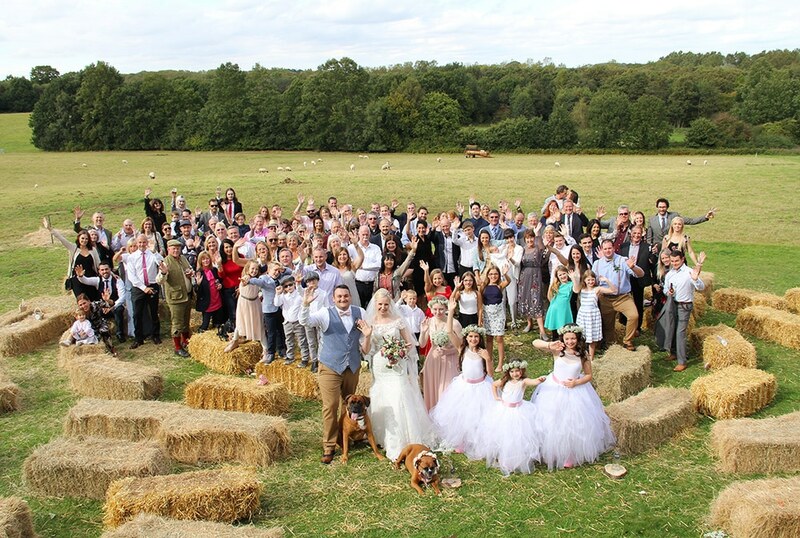 We work with trusted local suppliers, from marquees to big tops and caterers to a celebrant we can put you in touch with them to help plan your big day. Also don’t forget alcohol! 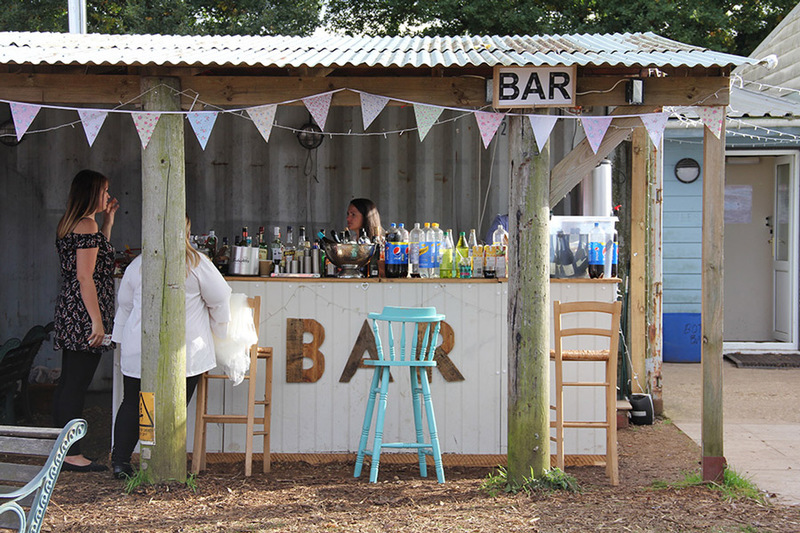 Top Farm is not licensed to sell alcohol so you’ll need to find a supplier. 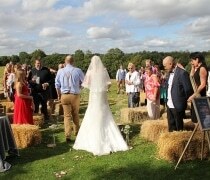 Peony Floral Design offer beautiful wedding flowers and will create stunning flowers for your special day. 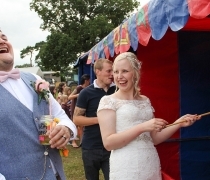 Including arrangements in milk churns, cast iron urns or Kilner jars to fit your festival themed wedding day. Sourcing flowers from local growers where possible completes the rustic, country theme that we love. 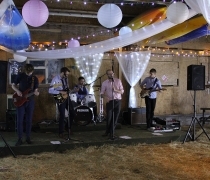 Rachel Greengrass is a very talented and highly recommended wedding photographer, who has shot a number of Weddings at Top Farm. Rachel knows Top Farm like the back of her hand and will capture all the best spots around the farm ensuring you have a great selection of photos, she’ll even take the bride and groom off to our more remote locations by quad bike, to capture those unique and truly memorable photographs.